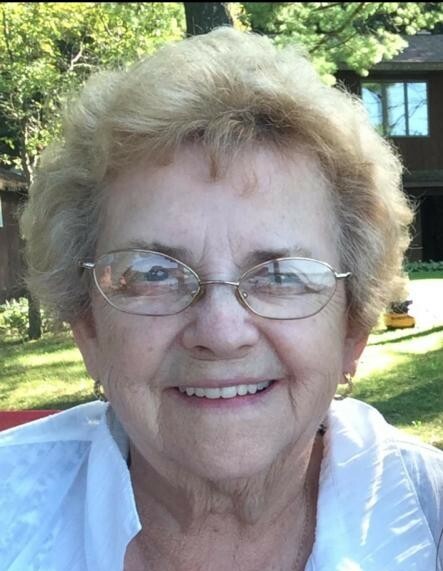 Marilyn E. Steele, age 80, of Wild Rose passed away peacefully Sunday afternoon, March 31, 2019 at Rosemore Village in Wild Rose. She was born Oct. 28, 1938 in Milwaukee the daughter of Clifford and Elizabeth Julia (Kirchgassner) Waite. Marilyn was employed as office manager at the former Miller Trucking Co. in Milwaukee. In 1976, she moved to Wautoma and worked as a waitress at Moose Inn before opening Marilyn’s Supper Club in Wautoma. Later, she was bartender at Billy B’s in Wautoma for a number of years. She enjoyed going to the casino and loving her grand dogs. Marilyn was a member and past president of the Waushara County Tavern League. She is survived by her special friend, Mike Jakubowski, Wild Rose; two sons, Scott (Julie) Steele, Wautoma and Dale (Betsy) Steele, Scottsdale, AZ; her sister-in-law, Ruth Waite, Glendale; a nephew, Tom Waite, Milwaukee. Marilyn is further survived by many dear friends. She was preceded in death by her parents; her brother, Jerry Waite; and by her nephew, Michael Waite. A Celebration of Life will be held on Saturday, May 4, 2019 at Grimm's, 315 W. Main St, Wautoma from 1PM to 5PM. There's still time to send flowers to the Celebration of Life at the Grimm's Tavern from 1:00 PM to 5:00 PM on May 4, 2019.